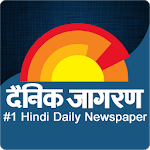 Dainik Jagran, India's #1 Hindi News Group, brings you the Latest news in Hindi, breaking news in hindi , hindi news from 400+ local news & different categories like national, politics, cricket, Tech, business and more…. 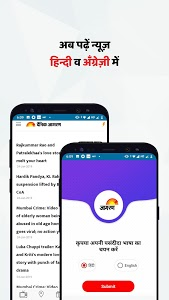 Dainik Jagran latest hindi news app is all you need to get latest hindi news & breaking news today. Election News 2019: Get latest Lok Sabha Election 2019 updates, including latest election news, election 2019 candidates list and election dates. Get past election data like election winners. Indepth Coverage: Indepth coverage of news, views & analysis of top news stories in politics, Business, Tech, World news, Sports & more…. 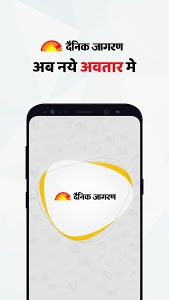 Our analytical stories provide you with unbiased coverage of all stories be it advantages of GST, Launch of a new mobile phone, general election coverage, latest hindi news in Business or more. Business News (बिज़नेस न्यूज): Daily market updates and analytical news of all latest govt policies be it demonetization, GST, Tax filing, Budget or more. Our business desk experts breakdown the policies in simple hindi news and inform its impact on your daily life. 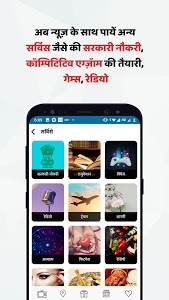 Common Man Issues & Positive News (पॉजिटिव न्यूज): Tired of all negative news around, read our new positive news section and drive the negativity away. Epaper: Read the latest Hindi News epaper from all local cities. Also see all previous days newspaper. Bookmark A News & Night mode: Save your favorite news to read later & turn on the night mode for easy reading in night. 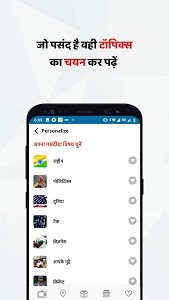 Ease of Use: The app is fast event in 2g/3g network and easy to browse . Notification: Get the latest news notifications & breaking news alerts. You can read all the latest notifications in our notification center. 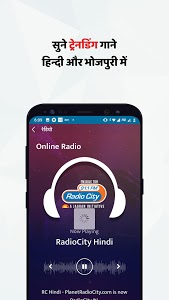 Offline Reading: Now no need of good internet connection to read news. Switch to offline mode and read all the news without burning your bandwidth. Audio News: Soon you can listen to the latest news and listen to notifications. (Coming Soon). RECORD_AUDIO: This is required to analyze offline TV viewing data and serve media-targeted ads. Granting this permission is optional. If you'd like to opt-out of this targeting, please visit the following link: http://www.zapr.in/privacy/. 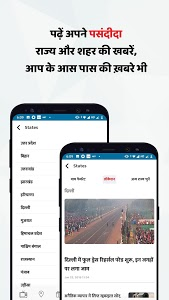 Stay ahead by downloading the best hindi news app & end your daily news hunt here. 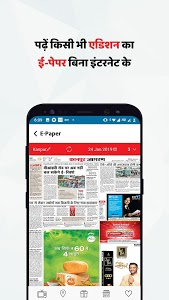 * Jagran is now available in all new format. * New UI/Ux & Special features. 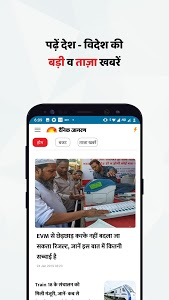 Similar to "Dainik Jagran - Latest Hindi News, election news"